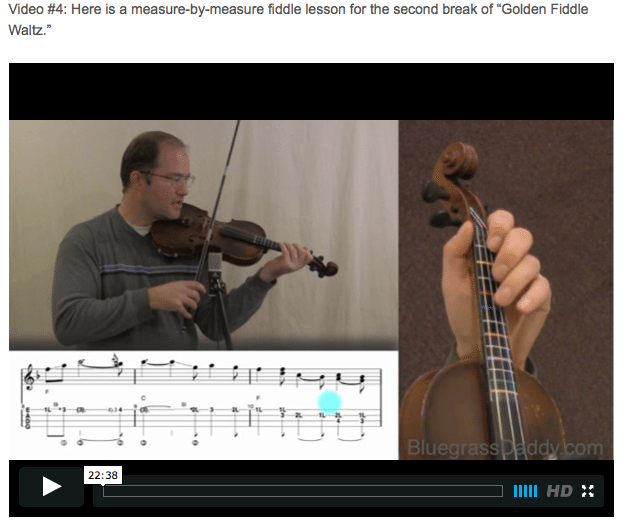 This is an online fiddle lesson for the country fiddle tune "Golden Fiddle Waltz" by Randy Howard. This lesson is by special request for my friend Carlos. 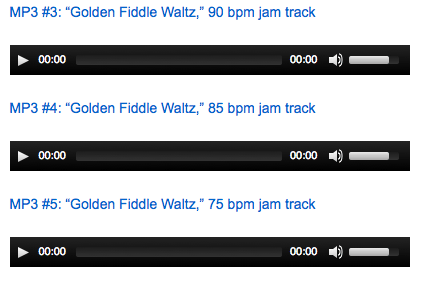 Video #1: Here is a video of me performing the country fiddle tune "Golden Fiddle Waltz." " where can i buy priligy in usa Our site Golden Fiddle Waltz" was written by Randy Howard. Randy Howard won every major fiddle competition including the Union Grove, North Carolina World Championship in l979, the last and youngest person ever to win that honor. An eight- time National Champion, four times Tennessee Old Time Fiddler Champion, he also won the Grand Masters Fiddle Championship in 1985, and the National Mandolin Championship at Winfield, Kansas, in l990. He was equally skilled on acoustic and electric guitar. One of the world’s premiere fiddle players, he passed away June 29th, 1999 at the age of 38 after a four year battle with cancer. His final masterpiece "I Rest My Case" was released in the year 2001 on Sugar Hill Records. It features his original compositions and guests Jerry Douglas, Sam Bush, David Grisman, Romane, Roy Huskey, Jr., Don Rigsby, and Kathy Chiavola. Born in Milledgeville, Georgia, Randy was taught by his father when he was 8 or 9 years old. His father taught him only the rudiments of the fiddle and then told him to go out on his own. Randy's talent on the fiddle and other musical instruments including mandolin, guitar and voice took him across the country and even overseas, performing at festivals, competitions and joining country music legends such as Bill Monroe, Chet Atkins, George Jones, Vince Gill, J.D. Crowe, Shelby Lynn, Garth Brooks, Bela Fleck and Alison Krauss. His mother, Faye Howard, remembers that Alison Krauss used to follow Randy around to just about every bluegrass festival at which he performed. "Her parents would call to ask if Randy would be at certain events, he'd say yes, and they'd show up there," Faye Howard said. Alison Krauss called Randy "simple one of the best fiddle players that has ever lived." 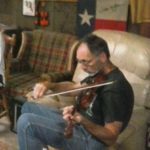 Posted in Advanced, Country	Tagged with: "Golden Fiddle Waltz" "Randy Howard" "country fiddle lesson" "bluegrass fiddle lesson" "fiddle waltz" "Bluegrass Daddy" "John Cockman" "John's Fiddle Lessons"
This topic contains 41 replies, has 10 voices, and was last updated by John Cockman 1 year ago. A beautiful waltz by a wonderful fiddler named Randy Howard. This is by special request for my friend Carlos. Beautiful is an understatement, John! What a treat to listen to this arrangement. Advanced BGDU fiddlers will really enjoy this! I agree with Justine, that was great!! That was great John, thanks. I only just heard that song couple days ago, I searched up the best of Bluegrass fiddling and had the pleasure of listening to 50 or so videos while cooking, and when Randy Howard Golden Fiddle Waltz came around , I left the cutting board to get a good look. So pretty, I was like , humm, who is this guy ? The B flat major to minor slides with the D flat and G minor and F oh wow! Cant wait till I am good enough. Hey John, you very much so honor Randy Howard by playing and teaching this song. Did you know him ? Your voice was trembling with emotion when you talked about his unfortunate 4 year battle. I feel sad about it now, and I didn’t even know of him till like 4 days ago. His music lives on and thanks for posting his history and info. I thought maybe you had had the pleasure of playing against him in a competition, or maybe he was judge ? just curious. I love a good true story. Hope your having a great day.And thanks for introducing to us one amazing fiddler. Thanks Gu, I never knew him personally, but he was one of the hottest fiddlers around when I was in school. So sad to think that he died so young. His “I Rest my Case” album was released posthumously, and contained songs that he recorded after he found out about the cancer. We are so fortunate that he worked so hard to leave that legacy. I was at SPBGMA and IBMA in 1999 when both gave him the Fiddler of the Year award. I wish I had known him. I’ve been working on this a little bit…wow…very tough…very beautiful. I’ve watched Randy Howard playing it on YouTube a few times as I struggle through…I feel I’m getting to know him through his beautiful playing…something wonderful was inside this man’s heart and it truly is a shame he left so young. This is one of the nicest tunes I’ve ever heard. I hope I can get it … But it’s gonna be a while, if ever. Gotta try though. This is a good lesson…I can’t imagine how much work went into getting this lesson together. Gonna work on it! Anyone else? I will try after Anna Lee and Jerusalem ridge up to speed . Thanks Cricket and Gu! I know that Carlos is working on it too, even though he is not on the forum much. After learning and teaching this one, I felt pretty close to Randy too. It was kind of a depressing weekend, teaching two songs performed by guys who died from cancer soon after. I am thankful for YouTube that gives me access to so much great music for free. Good luck to anybody else planning on learning this one… I hope we can all get it down. Gonna take some effort, for me! It’s probably beyond my skill and experience level, but I’m all for stretching it as far as I can get it. For a second I thought that exclamation mark was the letter, L. Stretch and grow, stretch and growl…lol…either way! Good coaching session! Gotta reach a little bit higher! Stretch, grow, growl, reach! I don’t know about you, but I’m inspired! GROWL! That song does it for me every time. That is a popular tune that I never hear in a jam around here. Still, I know that it must be played somewhere! I never hear it either, except on YouTube. I think other than that, one must be old to have heard it in real life jams, I say, at 61 years old…lol. And we’ve already established that nobody here is old. It’s a cool tune. I can sorta almost quasi-get through the first break without crashing to pieces…lol…coming along very slowly. And I’m crawling through the first break of GFW, slowly. After a little more…or a little less crashing, more security in that, I guess it’ll be time to have a look at part 2… A lot harder, I think, but at least I hope I have a foundation. I got a chance to practice Golden Fiddle Waltz tonight…I think I should start on the second break tomorrow…I’m being entirely too easy on myself! Oh boy…I have some work to do! Cricket, I have noticed that sometimes it does just take a tune a few days to soak in. I like that term! Speaking of tunes sinking in, I’m hoping…not fiddling, for a day or two more! I did run through some of the other, pretty easy, stuff I need to play soon, and, WOW…if you push yourself beyond your limits…your usual stuff definitely improves! I was pretty happy with how my old stuff was sounding. To quote john on his measure-by-measure lesson: “So there’s that ridiculously hard break…” Something to that effect…I do remember the words, ridiculously hard, because it made me laugh…yeah…I’m glad John sees it as ridiculously hard, because it sure seems that way to me! Haha you are right, Cricket, that’s about as hard as bluegrass gets. When I label a tune as “advanced,” I’m not kidding! Good news: Bobby Hicks’ “Faded Love” break is not nearly as hard as it sounds. But it is hard enough to get the “Advanced” label! 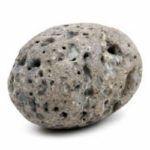 Thanks Rock. Your lips are sealed. I gave to hurry up and get back to this so I can try the Faded Love. I’ve always like that one but never really learned to play it. I’m sorta stuck now with hardly any time to play. Happens that way sometimes. I think G F Waltz is about the most beautiful thing I’ve ever heard. Even fumbling through making a mess of it is still very touching. It’s just a great tune! Well, I’ve managed to memorise up to around meas. 35 or so, and get it almost in time & tune. Hoping to get this last turnaround down today so I can at least fire up the rhythm loop and iron out some timing details. Pretty amazing what this slower more difficult tune is teaching me about technique, bow pressure/speed, double stops, & such that I didn’t ever pick up from faster tunes. Found I’ve been overplaying the instrument far more than needed, and that the angle of the bow hair has a lot to do with the tone I produce. I have an awful long way to go yet but am happy with the progress so far. Go, Dave, Go! This is a tremendous tune. A friend of mine learned this and played it for me at the Music Fest in Sugar Grove this year. 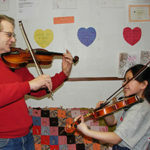 It feels so good to create something that helps fiddlers learn and get better! I learn a lot in the process as well. I can’t wait to hear you playing this! I sure do miss Cricket, ?, she was studying and played this one quite well. Very inspiring, hope to get there too some time this year before Christmas season comes around. Then it s deck the halls with bows and holy songs. ? John – some tunes include more difficult playing techniques. For Golden Fiddle Waltz, clean double stops are important. It would help if an instructional/practice package (i.e. 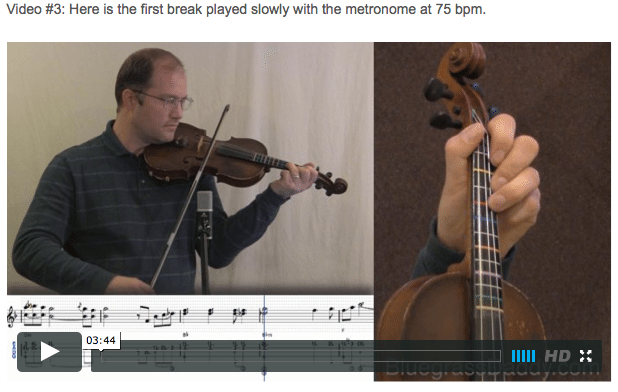 notation/tabs/video) was available for the double stops in this tune. After a person has can play the double stops well, they can move on to learning the complete tune. I think that this tune would highlight any playing problems a fiddler has. I prefer working on one problem at a time, so for me, getting the double stops sounding right would be the first problem. 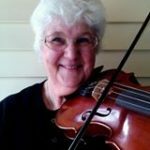 I am a new member and consider myself an intermediate level fiddler. I had doubts about joining, but everything is working out fine. I’m 17, and I’ve been teaching myself the fiddle for a little over 2 years. This is literally the best website ever, because I’ve always loved this waltz so much, and despite it being beyond my skill level I always wanted to learn it. In fact I wanted to learn it so badly, that I did. I’ve been solidly trying and dedicating so many hours to it that I actually got the hang of it!! Thank you so much John, for taking the time to teach this song. It really is so beautiful. Lily-Rose, I’m sure you must have seen this on youtube, but I’ll post it just in case or for others who may not…can you imagine writing something like this? Thanks Lily-Rose! I hope to hear you play it someday. 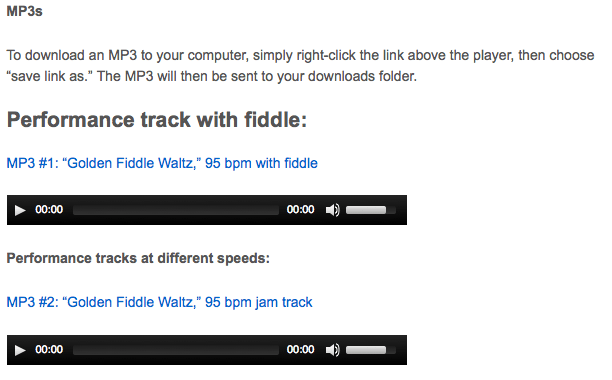 That is a very nice fiddle tune. I’m so sorry I worked out n it so hard and then lost it…got too busy helping sick people, etc., to practice. Someday…I’ll tackle that one again. Good luck with it, Lily-Rose…I hope you’ll play it for us! Well, for motivation, here’s another spin on Golden Fiddle Waltz. I guess everyone hears the timing slightly different in some phrases. This feller does a great job. This is my goal for the next year to see how far I can get on this one, and hopefully nail it down. I can finally get Maiden’s prayer to where it’s not really painful, so maybe…just maybe on this one. It’s good to have a goal for development, and this is definitely one I’m going to hit daily until I get it, although I may have to wait to after Christmas to take it on seriously. 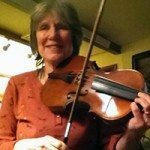 If anyone is SERIOUS about wanting to learn to play this lovely waltz on the fiddle then I suggest they take a gander at the link below… and spend some quality time with the teach by following his fabulous lessons. 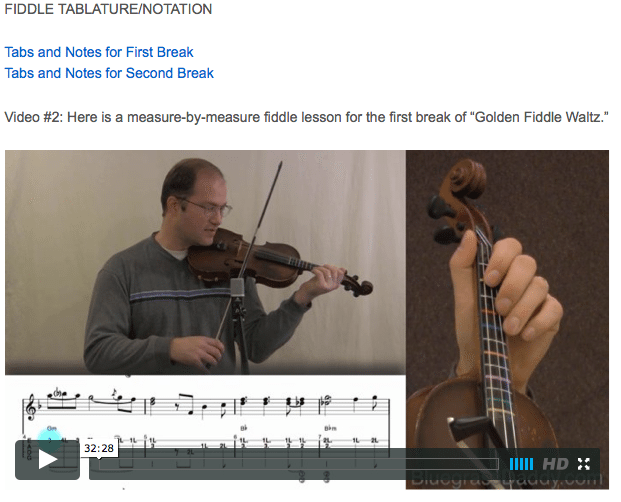 No other fiddle site will provide you with such comprehensive lessons for this particular tune. This is by far THE BEST version on the tube. Even RH agrees! Wonderful playing, by the way, John! Filled with tons of emotion. Thank you for such a great lesson and a fantastic website. Thanks for the link, Rodger…I believe I’ve heard that plus two or three others on YouTube…I do like to see what various musicians do with tunes. I’m finding more and more I can learn a thing, but can’t ever seem to actually play it until I get my own spin attached…get a feel of how I gotta play it. That could just be my lack of fiddling experience dictating my playing…not sure. I know some folks can learn note-by-note and take it from there…seems I can’t feel like I can play a tune until/unless I learn the notes, then let it cook a while on the back burner, then stir it around in my own way later. Dwight Diller, the banjo player in WV, told me once that he thought, just as the old saying goes…you have to eat a peck of salt with a person to really get to know them, the same goes for playing a tune…maybe I agree with him…lol…or maybe I’m just no good. But as retirement has gone for me, it’s been a few good learning times usually followed by forgetting times, in many cases…there’s just been a lot of stuff we’ve had to help out with…we’re the only ones doing good enough to help. Everybody has had a rough way to go with illnesses, hospital stays and doctor visits, losing their homes and needing someplace quick to live, etc. Anyway, I think I’m gonna have to someday start from square one with this again and it’ll be a while and a lot of work from there to get it…I was almost there once, couple years back. Ain’t easy for us old and busy folks….lol. This one’s probably just too hard for me…I can see how it has to be in F to really work out. Well, Scott…I’m betting John is the only one out there with an online lesson to this…unbelievably painstaking to get a lesson together like this! Very thorough and what a great job he did. Rodger…I hope you can get to it by Christmas and see what you can do with it…let us know! Learning this would be a real accomplishment. This is one of those things that divides the pros from the kiddos…except some kids actually already burn this one up…lol…ugh…that’s amazing, and kinda scary…lol. Cricket, with this or any of the challenging projects, if you just take it one bar at a time & master that measure, then move on to the next one, don’t rush anything & expect it take awhile…eventually you can get it. But you have to be committed to do that…the returns for the work you put into it will be success..it’s like digging a root cellar (another project I’m trying to do) if you get that one shovel at a time, one after the other, eventually you will have it. & yes, by all means follow the lesson sheets & lessons. Be about impossible to do it otherwise.